300 years of elegance passed on from queens to princess’ all the way down to Princess Marina. • 3 major secrets...that I will share with you right away... Secret # 1: Authenticity, To be oneself. This requires assurance, self-confidence. "I like my perfumes to bear a unique signature, a sillage, solely mine !" Secret # 2 : Harmony in its most natural, fresh and unadorned form. "My perfumes evoke floral elements, zesty or fruity scents, woody, herbal and spicy smells..." Secret #3 : A Passion for Beauty, devoted to Art and all creative forms, whether in nature or in mankind... "Beauty surrounds us, both revealed and hidden, it is the pillar of my existence! My perfume bottles are fashioned by the greatest master glaziers of the crystal industry. They are displayed in luxurious box sets and cases. 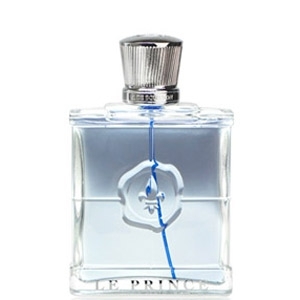 A true reminiscence of the XVIIIth century Perfumers and the craftsmen of fashion for the Royal Court of Versailles"
"A very masculine and fresh fragrance, for men with sense of style. A fragrance orchestrated around..."